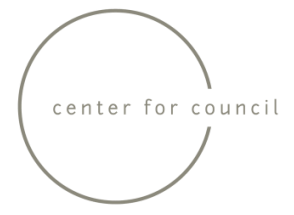 ​Center for Council's work is made possible through the generosity of foundations, corporations, government agencies, and individuals like you who recognize the necessity and impact of its programming. Please consider making a tax-deductible gift in support of Center for Council's programs and services today. A contribution of any size helps us grow our work and bring Council to more and more individuals and communities in need of community-building resources. Contact Allison Holton, Director of Development, using the form below.